For the last few months, I have been attempting to blog about each quilt I complete. 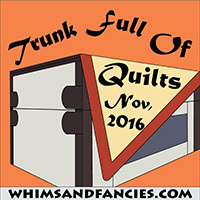 I've also started adding this website name to my quilt labels so recipients can read a bit more about their quilts. And I'm finally on Instagram, so new friends who follow me there can come learn more about the projects they see me posting there. In other words, I like to remember my quilts. Especially because I've given all but 4 of them away! 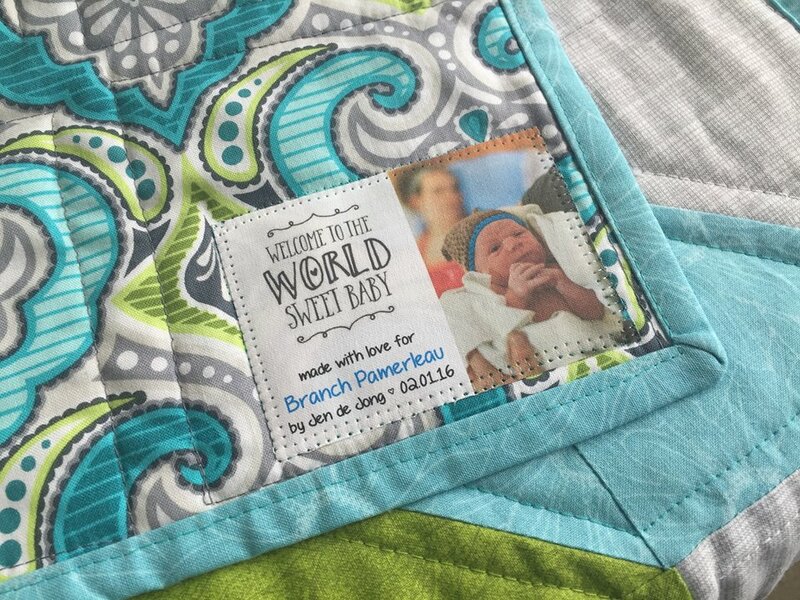 This baby quilt went to my friend Kim's little guy, Branch. While she was pregnant, I knew I wanted to make a quilt using some of the same fabrics as the quilt I made for baby's sister, a maple leaf quilt that was quilt #21 for me back in 2014. With the scraps from Branch and Piper's quilts, I made a few new goodies for big sister. The ironic part of this quilt is that when I selected the design, I was looking for something quick because we needed to make an unplanned trip to Kim's town for a funeral. 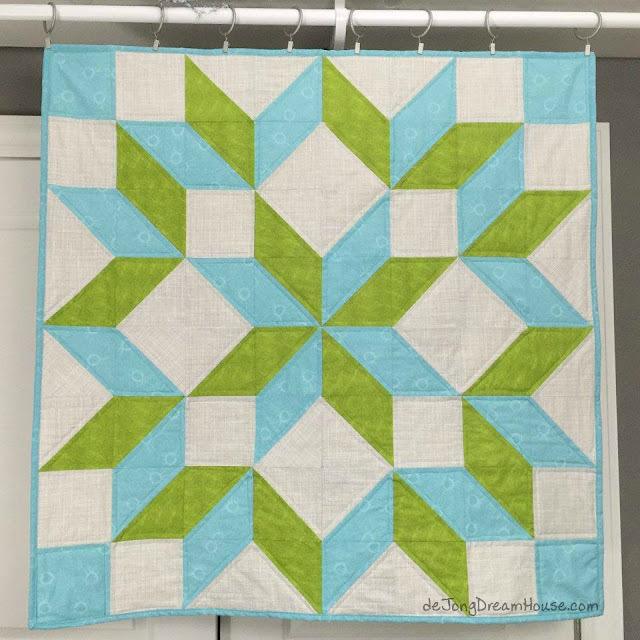 I only had a few days to make the quilt so I picked a carpenter's star. The irony? Carpenter - wood - Branch. I love it when that happens. 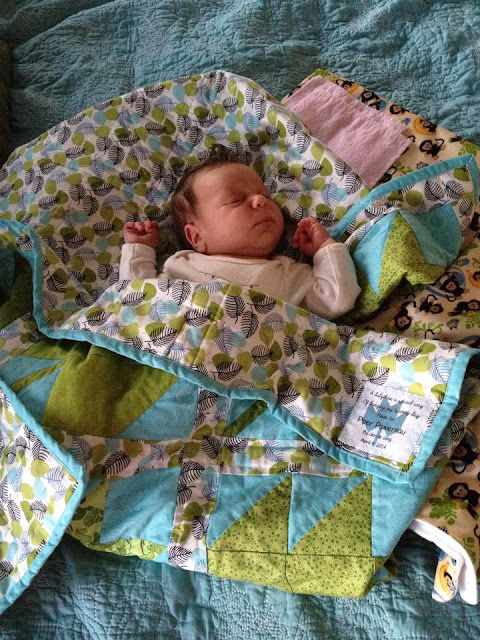 My next quilt of the year was also a baby quilt. This one went to my cousin's son, my aunt Lori's first grandchild. The baby's nursery had a world theme, so I chose an Around the World pattern. The prints are meant to be colors in nature. This quilt has one of my favorite labels. 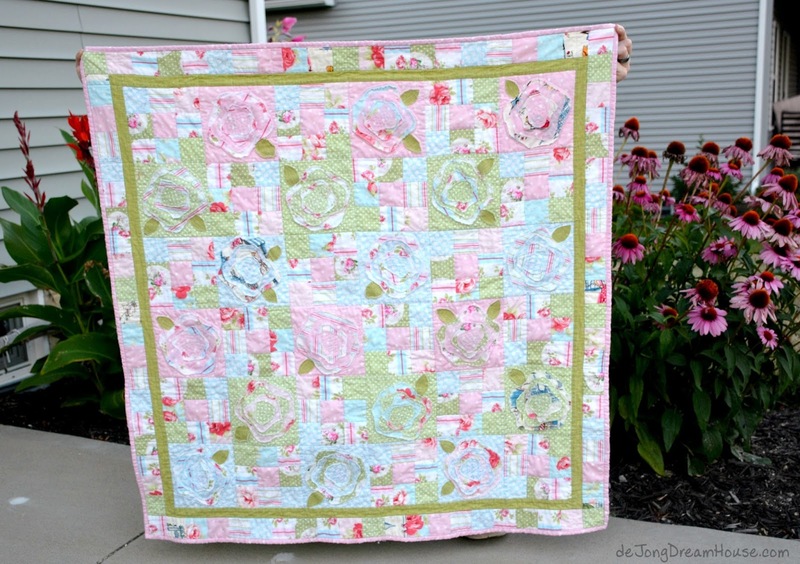 Because the quilt would be given to baby and mama at the shower, I made a few extras, too. 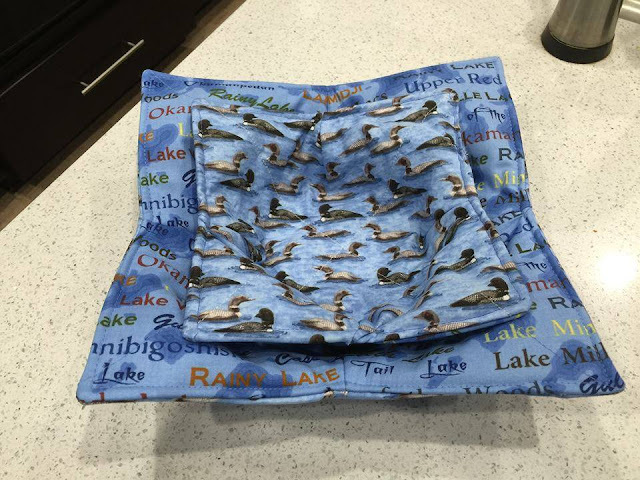 As part of this care package, I also learned how to make microwave cozies, and my auntie was kind enough to be my guinea pig! Another quilt I haven't yet shared! 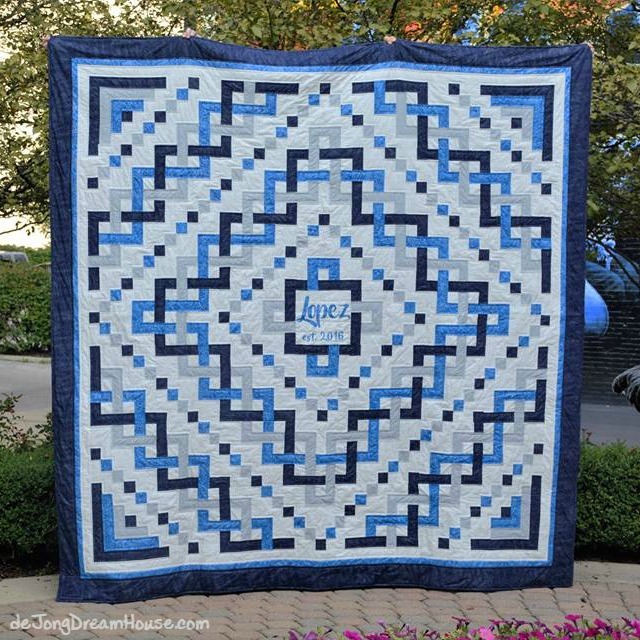 I originally found this pattern, Expanding Scrappy Spiral by Sharon of Mystery Bay Quilt Design on Pinterest. Our quilt group was needing quilts for girls so I whipped this up. This past year, our son has had the sweetest little old lady for his Sunday School teacher. On the Sunday of Holy Week, she was not at church. I not always as observant as I should be about these things, but that day I happened to ask where she was. Her beloved husband had passed away unexpectedly. I knew I had to make her a quilt. 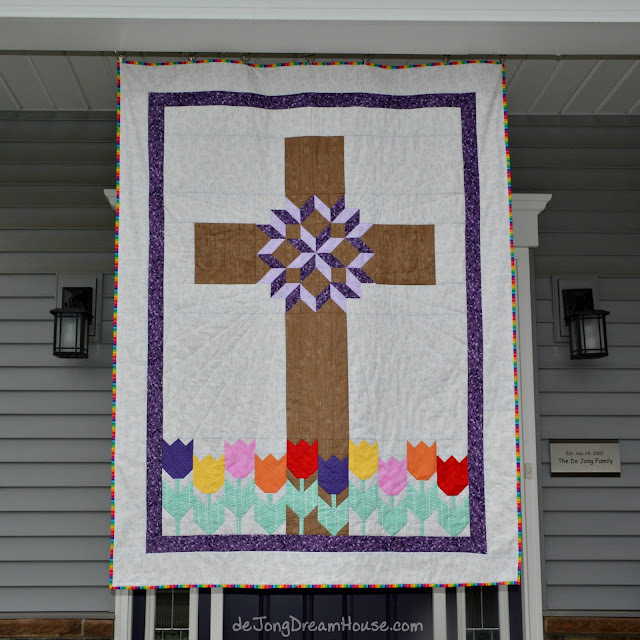 The cross is my take on the talented Judit Hajdu's Carpenter's Star Cross. The tulip tops came from Apple Avenue Quilts and the stems are modified from Pam Kimmorning. 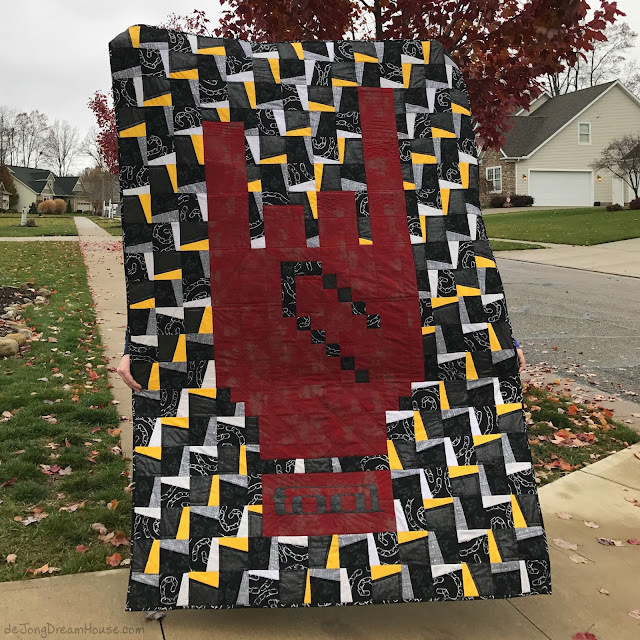 This was my fourth quilt inspired by the Ohio State football helmets. 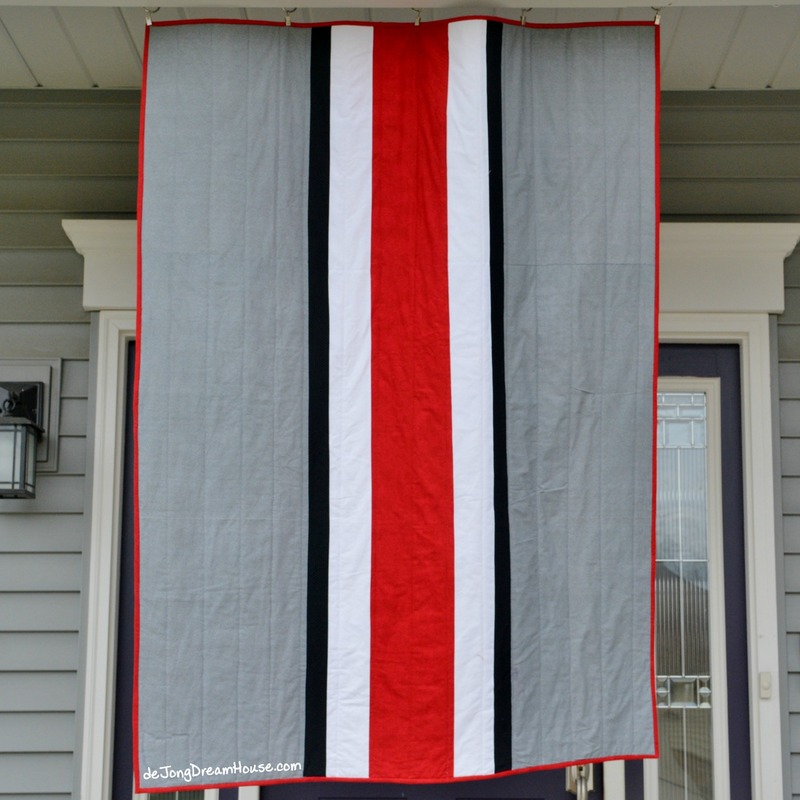 This one went to some good friends who are some of the most diehard Buckeye fans I know! Finally! 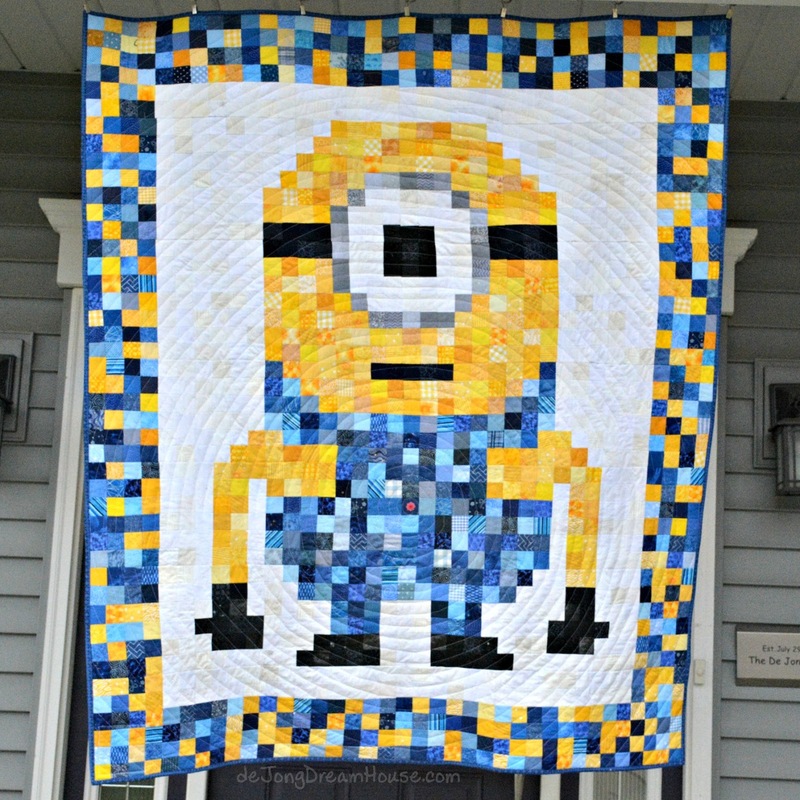 A quilt I have posted about previously. Timur's Russian Heart was made for a little boy in Minnesota to comfort him as he recovered from a heart transplant. 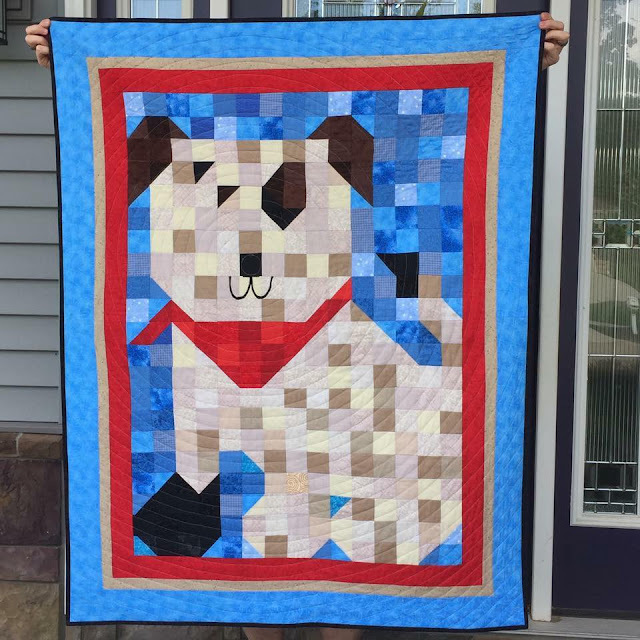 I made this quilt for a very special baby. You can all about her and her quilt here. 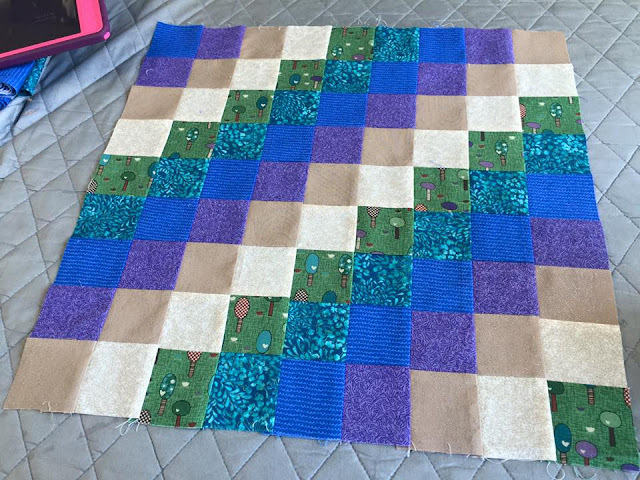 It has been the year of the baby quilt, I think. I had so much fun making this original design for our son's preschool teacher. (He's now in 2nd grade!). She is a pretty amazing person and we are so happy she added "Mommy" to her resume this year. Like so many, I was heartbroken to learn of the attack on Orlando's Pulse night club. 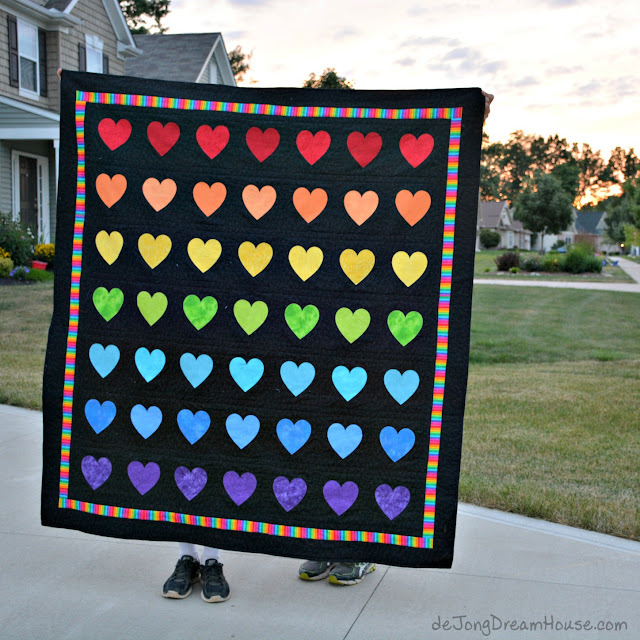 When I learned that the Orlando Modern Quilt Guild was collecting quilts, I went right to work on my original pattern, 49 Hearts. What do you know? Another baby quilt! This one went to another mama friend. She mentioned loving these Shabby Chic fabrics. When I found the French Roses quilt pattern, I know it was just right. Read all about it here. The best part of making this quilt is that Davinder Skyped me so I could watch her open the quilt, as well as the goodies she didn't know were included in her care package. Then she sent me this most adorable photo of Gioia with all her goodies. 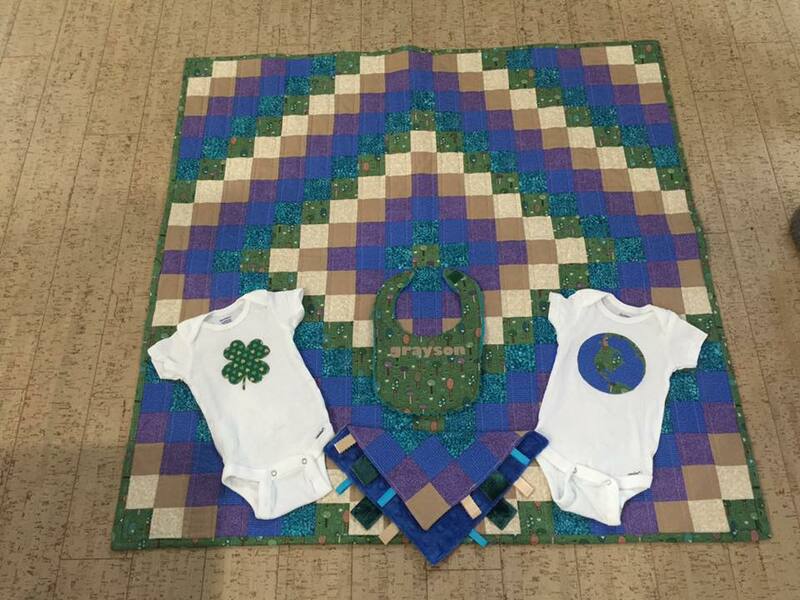 This Trinity Celtic Knot quilt was the opposite of all the quick baby quilts I've made this year. 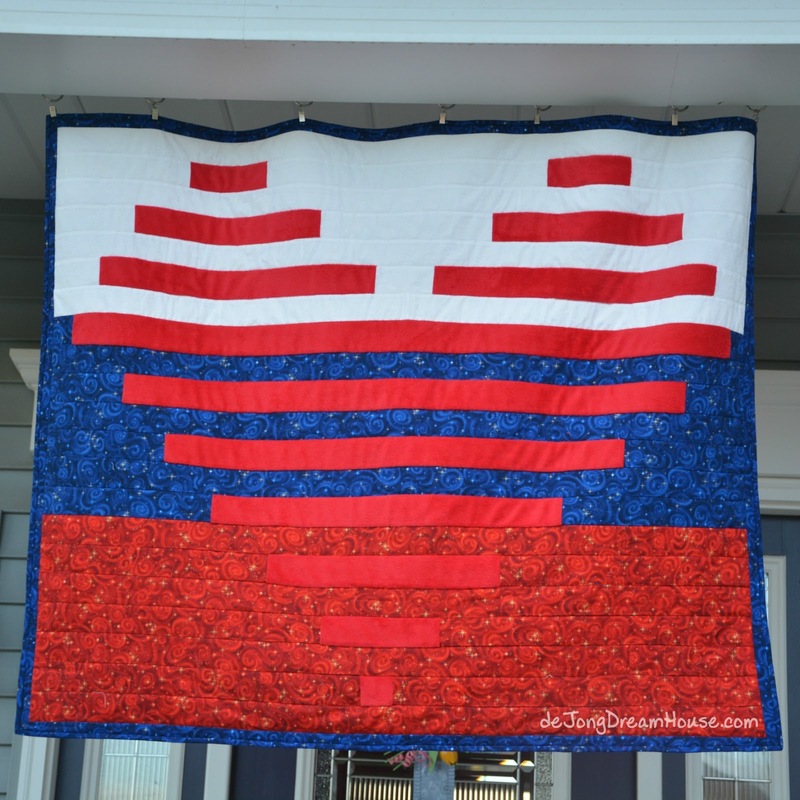 I affectionately called this wedding quilt, "the beast" as I was working on it. 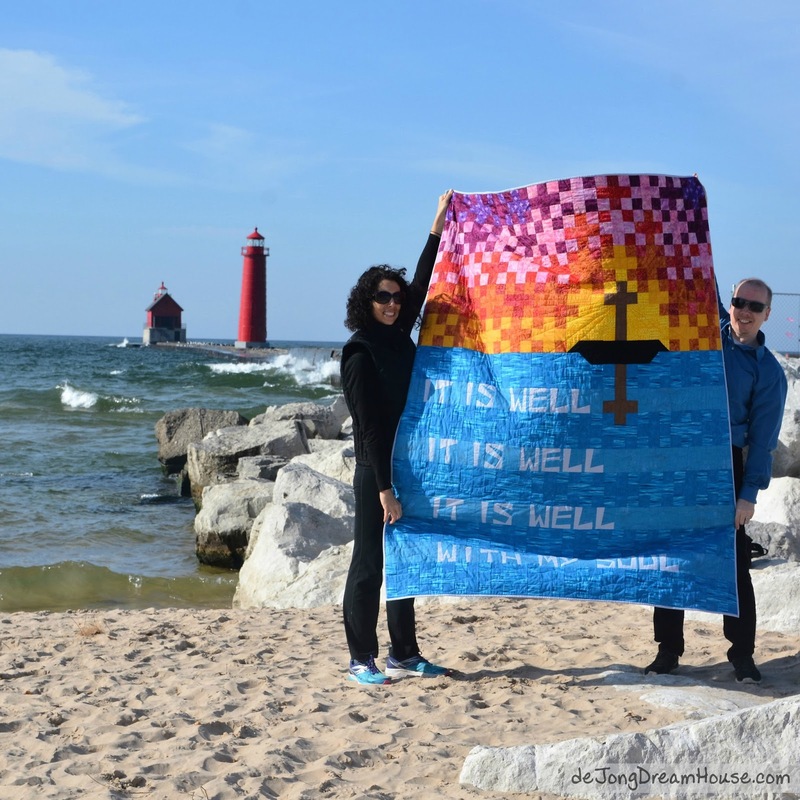 I wrote about the quilt and my dear friend Ang who received it as she married her Sergio here. 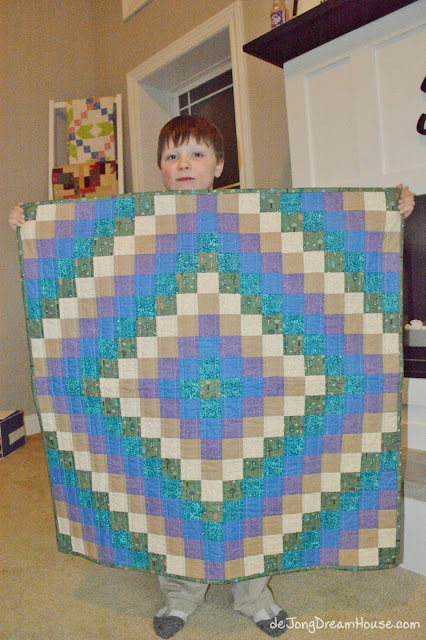 My second charity quilt of the year used a good amount of my scraps. I wrote about it here. 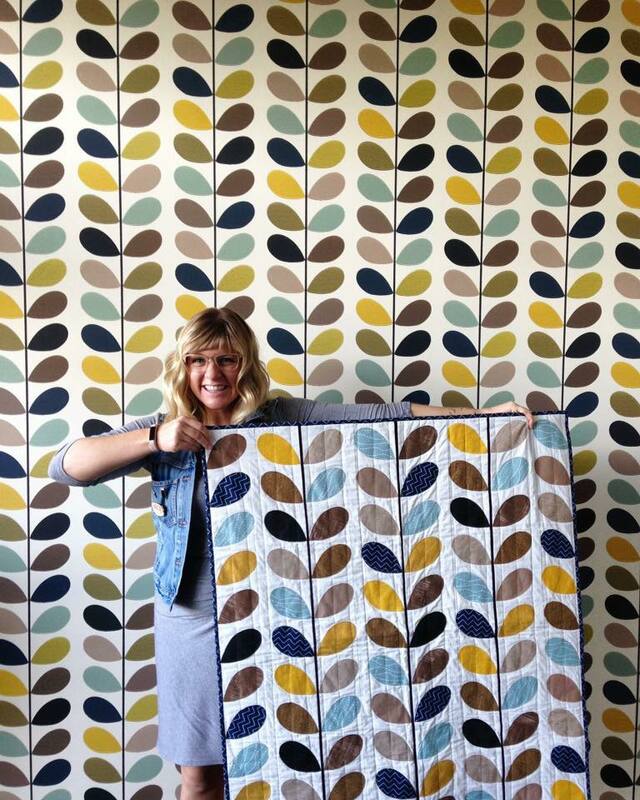 Last year I made a baby quilt for a friend based on her awesome Orla Kiely wallpaper. This year I made another version for her sister. 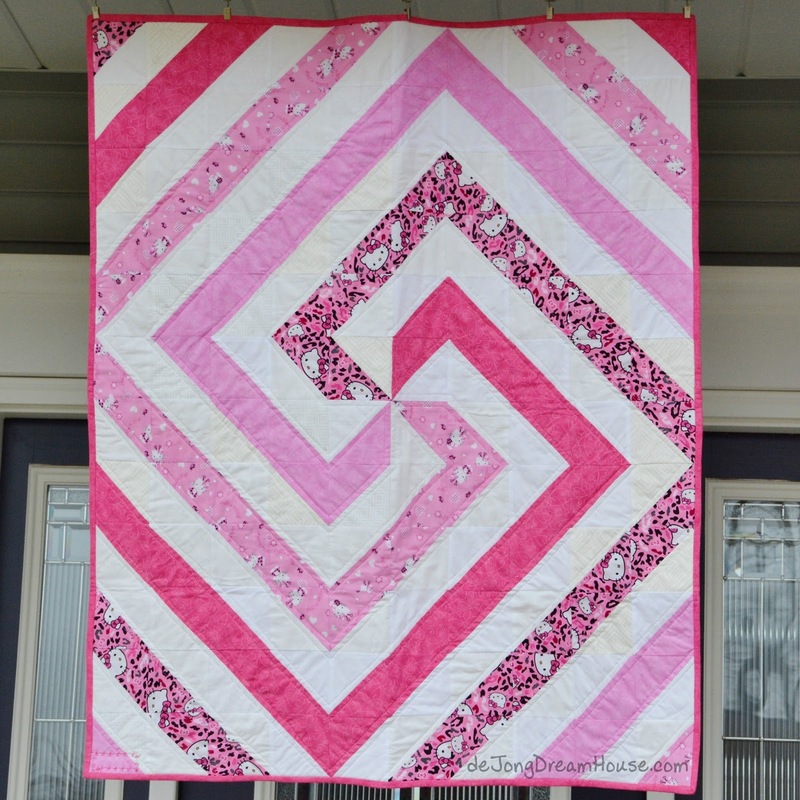 As of today, this original design is my last quilt finish of the year. It was good for my soul to be able to delivery it in person. It's only mid-November as of this posting, so I'm hoping to have two...maybe three finishes before I ring in 2017. Whew! I managed to finished one more quilt before giving my machine a break for the holidays. Quilt #72: Falling for Alex. 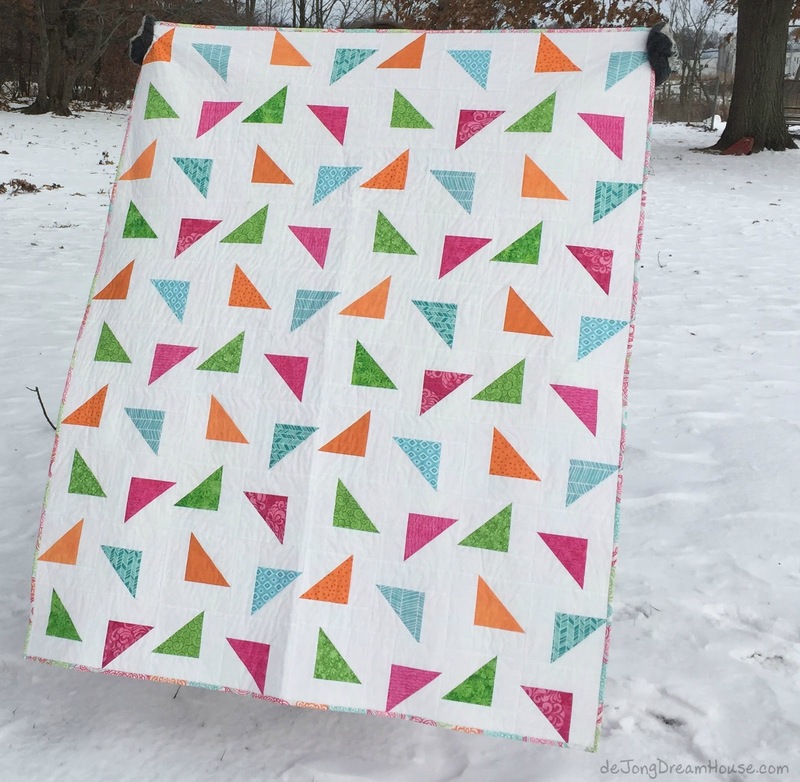 And finally, I went back and finished a UFO I started in 2013 (this actualy quilt #15!). I call this one the "Not a Tree Skirt Quilt." 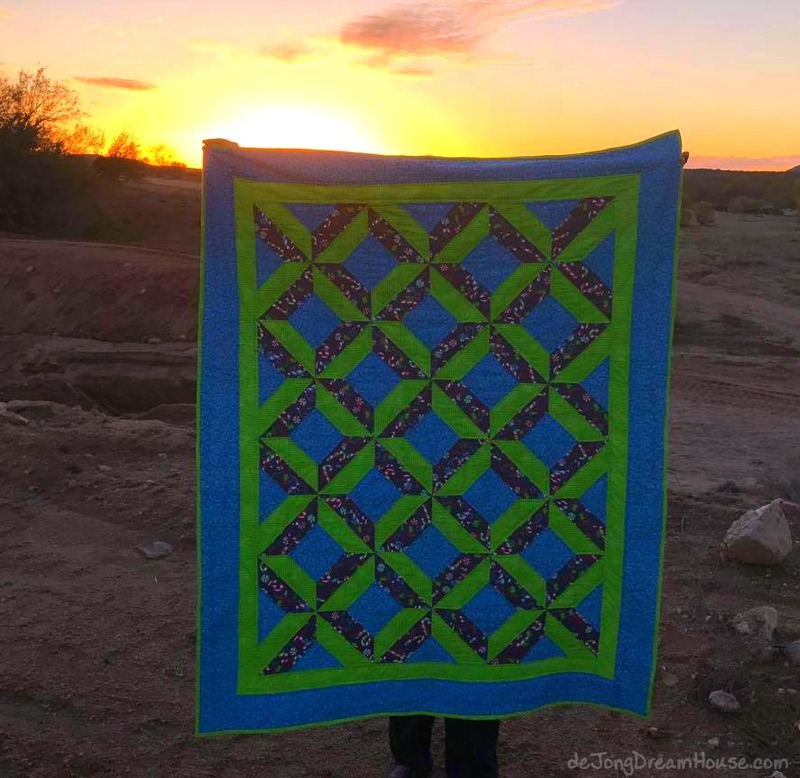 Quilting is my first love, but I also sew some other things to make money to buy more fabric. You can check out my Facebook page to see items I have for sale including more microwave cozies and my popular marble maze fidget bracelets. Thanks for checking out my trunk show! I hope you head over to Whims and Fancies to visit more trunk shows. I'm on my way there now! Your trunk show is amazing!!! 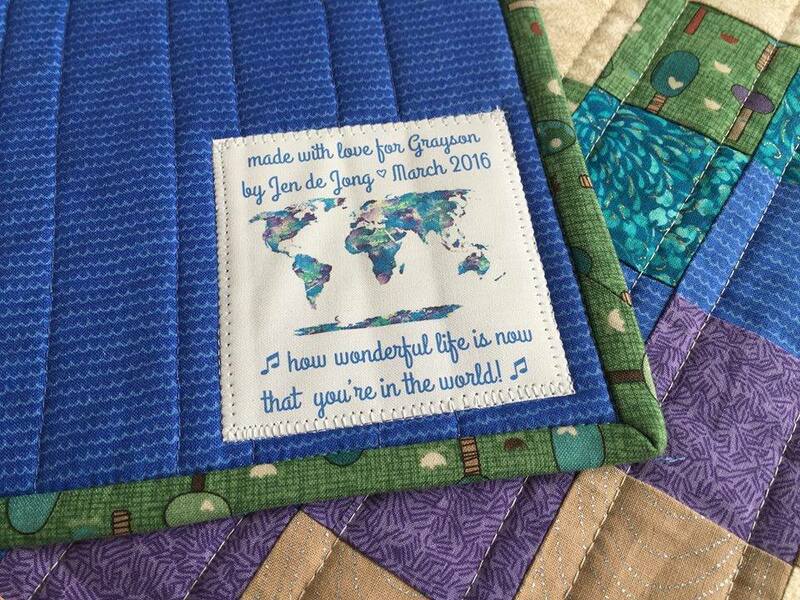 Beautiful quilts and your labels.....they are fantastic! 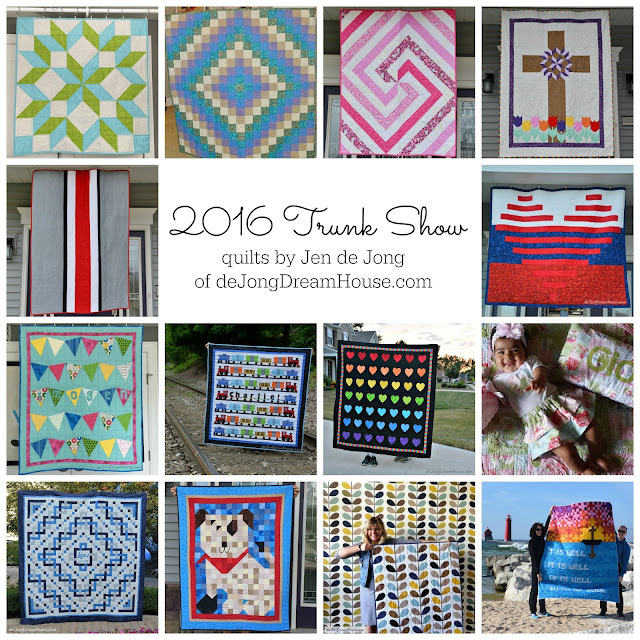 Great variety that really showcases your quilty talents! You have been busy--beautiful work! 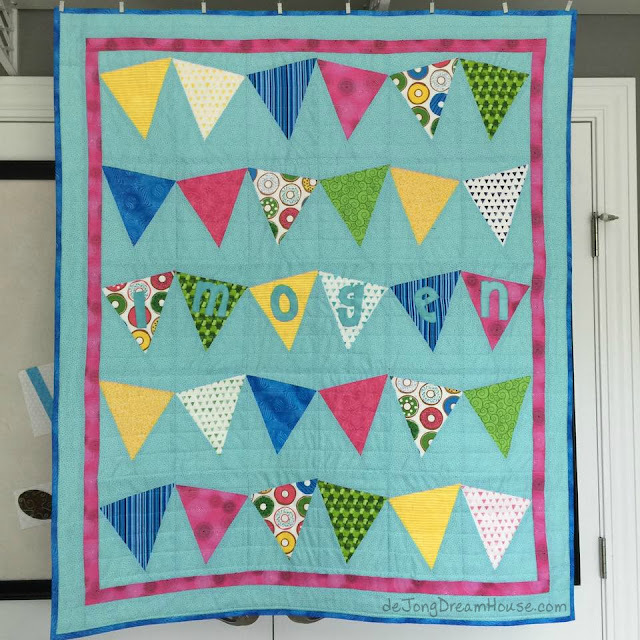 All just lovely quilts and I like how you do your labels (special). Beautiful quilts! Love your labels. 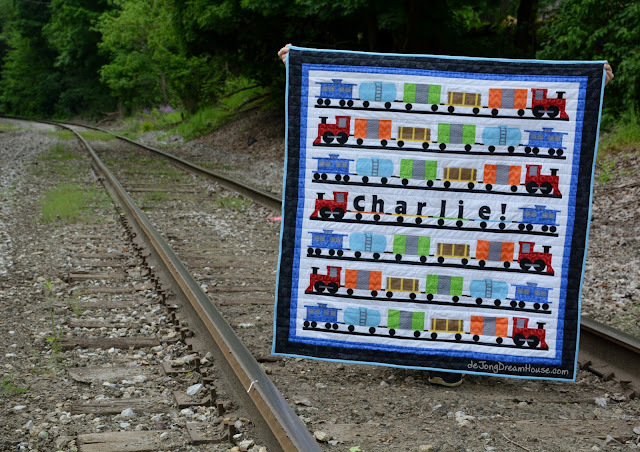 Wow, a stunning collection of quilts. It's hard to pick a favorite as so many are so gorgeous.